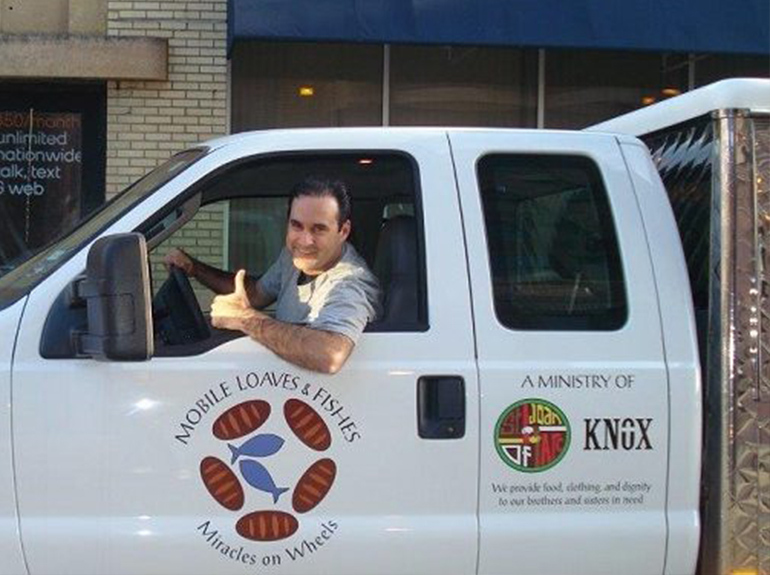 Mobile Loaves began as an outreach program in Texas, providing food and clothing to those in need. McLellan later brought the concept to the Twin Cities. The organization has since garnered serious attention in the area. More than 260 local volunteers serve up an average of 200 meals four times a week year-round. When a storm struck North Minneapolis in 2011, Mobile Loaves was the first operation escorted in by police. McLellan, a “Double Tommie”, also earned his Executive MBA at St. Thomas. He's used the degree to augment a successful 20+ year career at 3M, a global innovation company in St. Paul. Ethical leadership is at the core of the Executive MBA program. In other words, leading by example and doing the "right thing" without abandoning personal or organizational values. “We talked a lot in class about how business decisions are about purpose as well as profit," said McLellan. Students are taught that the purpose of business -- any business -- is to advance the common good. They learn to recognize the consequences of their actions. Students learn how use ethical leadership at their work, home and the communities they serve. Special group projects address the current business needs of local community organizations. As for McLellan’s most rewarding part of Mobile Loaves, it comes down to one simple thing.